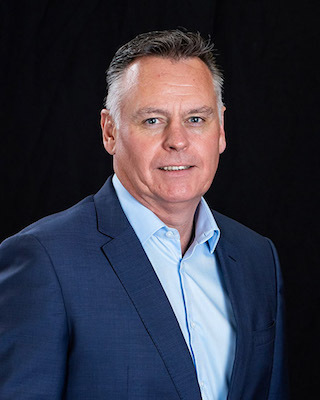 McGowan has over 25 years’ business experience, most recently as the Chief Financial Officer of Metrofile Holdings Limited, listed on the Johannesburg Stock Exchange. Prior to this, he was a partner in an auditing and consulting practice, advising businesses across various industries on financial, operational and strategic matters, both in South Africa and internationally. During his tenure at Metrofile, McGowan served on the board of the group’s operating companies, and was the Managing Executive for the group’s interests in the Middle East and North Africa region (MENA), including the UAE, Egypt, Oman and Qatar. He was involved in expanding Metrofile’s international interests by acquiring and establishing DIM operations in the UAE, Zambia, Botswana, Oman, Qatar and Kenya. McGowan has experience in evaluating businesses, reviewing financial structures, as well as price and contract negotiations. He has worked closely with an established network of trusted professional organisations internationally to assist with the intricacies related to cross border M&A transactions. McGowan holds a Bachelor of Commerce degree from the University of the Witwatersrand in Johannesburg, and an Honours Bachelor of Accounting Science degree from the University of South Africa. He is a Chartered Accountant (SA) and a Member of the Institute of Directors South Africa.